Get A Copy Of Our Guide "Choosing A Professional Roofer." Our reputation is our most valuable asset. we stand behind our work and our products like no other roofing company. In addition to offering the best warranties in the business, our factory trained installation and service department can help maintain and prolong the life of your existing roof. 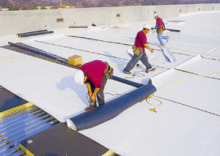 As the area's leader in innovative roofing applications, Sierra Single Ply is an excellent roofing solution for any company looking for competitive pricing and outstanding performance. 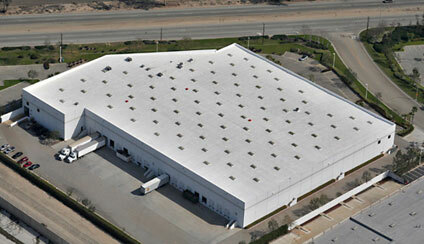 Whether your roofing needs are large or small, Sierra Single Ply can develop a custom solution for you. No one roofing system works for every situation. That's why we're focused on communication and solutions that meet your needs. So let our team of experienced and versatile roofing experts help develop the best roofing solution for you. Our experienced design team will meet with you to assess the scope of your project and make the most cost-effective recommendations - FREE of charge. We are big enough to handle the job and small enough to get it right. 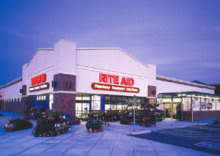 Every customer has direct access with the owners and is assured personal and responsive service. At Sierra single Ply we're experts at streamlining efforts. we work closely with architects, contractors, plant engineers, property managers and building owners to complete the project efficiently, afford-ably and timely. We do our research up front and give special attention to communicating accurately and clearly throughout the bidding and negotiating process, meaning there are no surprises for anyone, once the project is under way. A quality roof is one you never have to think about. That's why we don't cut corners on products or services. Sierra Single Ply is dedicated and committed to providing a product and a service that our clients can count on. "As an architect, working with Sierra Single Ply has been a rewarding experience...Their team focuses on the long-term quality of a roofing installation...Their integrity and cooperation is of the highest order." "Sierra Single Ply offered us affordable solutions to unique problems...They were fast and did a beautiful job. 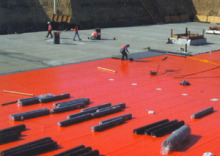 we highly recommend them for projects large or small." "I enjoyed working with the people at Sierra single Ply, they were professional, responsive and ready to do anything to help the project...their people care about the quality of the finished product." Jim Rau | Harbison - Mahoney - Higgins Inc.
"They were responsive and very professional...from the owners to the installers Sierra Single Ply was extremely knowledgeable, well trained and helpful. On the Parkway Plaza project they took the time to explain options and potential solutions so we could make the best decision for our customer."